Since 2005 Nona provides its customers with generic, brand, specialty and over-the-counter pharmaceutical products, healthcare products and medical devices. Through competitive pricing and reliability towards our customers we expand our network mutually, which led to cooperation’s with red crescent society amongst others. We constantly strive to find the best solution for different needs and are always pleased to collaborate with new manufacturers in order to help finding new markets. Our clientele is composed of pharmacies, hospitals, clinics and nursing homes who benefit from our manufacturers network that is committed to deliver controlled quality through certified manufacturing processes. 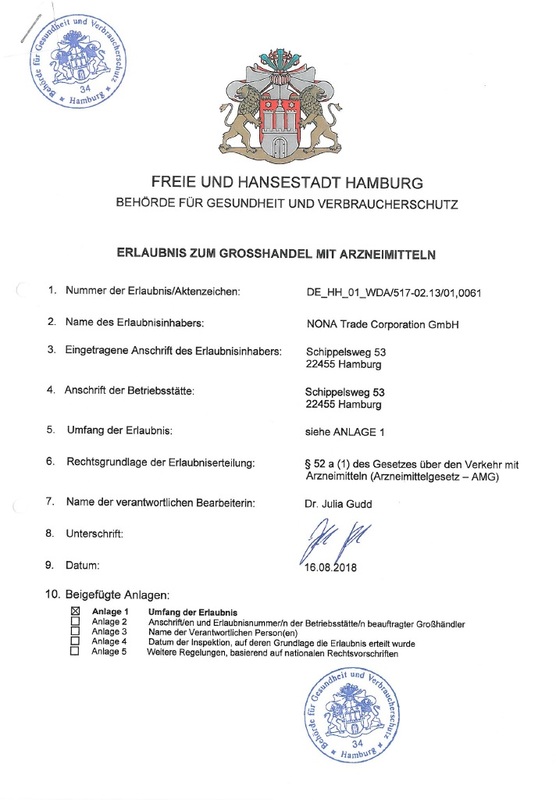 Nona is certified and approved by the local Health & Consumer Protection Authority of Hamburg.